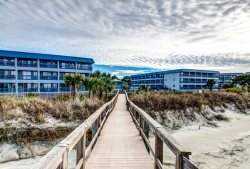 Tybee Island is a beautiful place to hold a wedding or special event. Even though the . beach is public, there are many guidelines that need to be followed in order to preserve its natural splendor. To ensure that you have the best possible event, please follow and obey these laws and guidelines. Stephen Palmer has performed over 2700 weddings on Tybee Island�s beautiful beaches since 2005. Simple, personal and elegant wedding ceremonies are offered with other services including photography, and beach ceremony rentals.